New hotels: Stunning London luxury, Hip option in LA, Design-forward in NYC + 3 more! In news of hotel openings, a hot new business hotel comes to London’s financial district; InterContinental Hotels Group brings an Indigo to downtown L.A.; a British boutique property debuts in midtown Manhattan; a Baltimore pier is remade into luxury lodging; Atlanta welcomes another airport hotel; and Dallas gets a dual-branded Marriott property near Love Field. 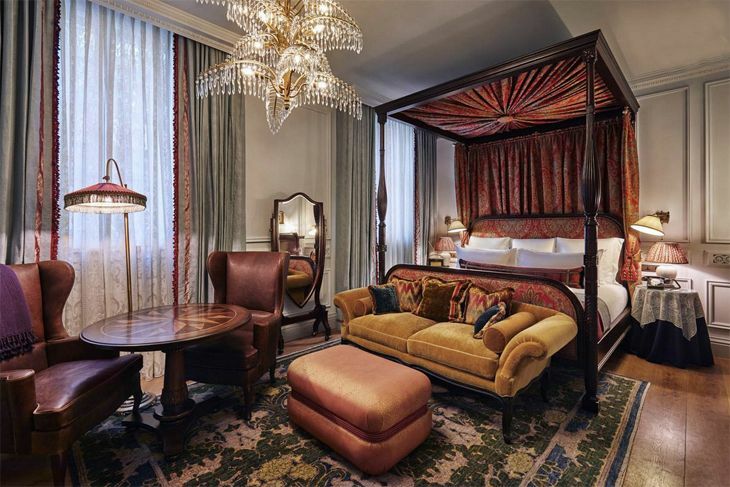 The talk of the lodging scene in London is a new hotel called The Ned, located in the heart of The City (i.e., the financial district) in the stately 1920s-era Midland Bank building. (The building was designed by Sir Edwin Lutyens, known as Ned to his friends. Hence the name.) The building’s original design features have been preserved, with a 252-room hotel incorporated into them. A project of renowned hoteliers Andrew Zobler and Nick Jones, The Ned is slated to open April 27. No cookie-cutter rooms here: Rooms come in 13 categories, and the property boasts seven restaurants (including a 24-hour brasserie and a Jewish deli), six meeting rooms, a spa, men’s and women’s salons, and even a barber shop. The building’s former bank vault now contains a bar, and there’s also a rooftop grill. Pre-paid, non-refundable nightly rates for a small “crash pad” room start at $320, although the hotel offers a special discount rate of $230 for persons under 30. 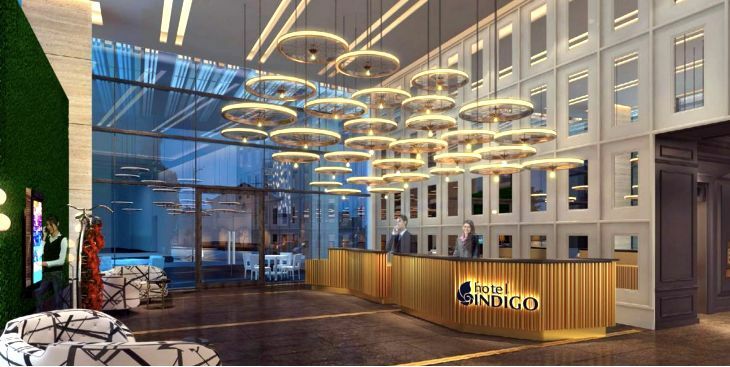 The mixed-use Metropolis development in downtown Los Angeles includes a newly opened, 350-room Hotel Indigo from InterContinental Hotels Group. The newly built, 18-story Hotel Indigo Los Angeles Downtown, at 899 Francisco Street, is within walking distance of the L.A. Live entertainment district, Los Angeles Convention Center and the Staples Center. It has a lobby-level restaurant/bar called Metropole; a top-floor cocktail lounge; a large outdoor pool terrace and bar on the fourth floor; 24-hour fitness facility; and 11 meeting rooms. Rates start at $263. 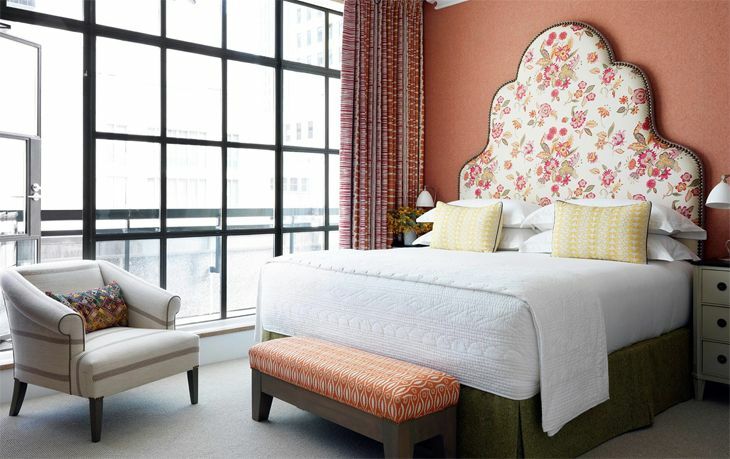 Newly opened in Midtown Manhattan is The Whitby Hotel, an 86-room boutique property with a strong British influence from designer Kit Kemp, who created several similar properties in London along with the Crosby Street Hotel in New York’s SoHo neighborhood. The Whitby, at 18 West 56th Street, is close to the Museum of Modern Art and a few blocks from Central Park. Guest rooms have floor-to-ceiling windows and free Wi-Fi, and some come with private terraces. The hotel has a restaurant/bar open for three meals a day, and an adjacent orangerie with high ceilings and a skylight. The hotel serves a traditional British afternoon tea. Rates start at $695. 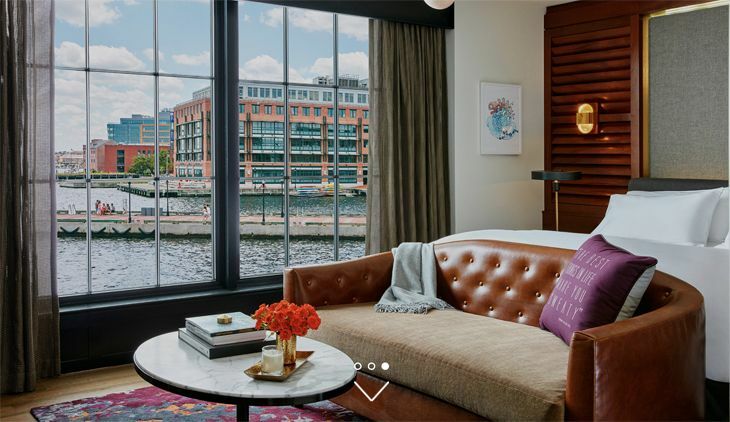 Baltimore’s century-old Recreation Pier building along the Fell’s Point waterfront, at 1715 Thames Street, has been totally renovated into a luxury boutique hotel called the Sagamore Pendry Baltimore. Along with 128 over-water guest rooms and suites, the new Pendry has a signature restaurant called the Chop House; the Cannon Room bar; a seasonal waterfront pool with a bar and grill; 10,000 square feet of indoor and outdoor meeting space; a water taxi service; 24-hour fitness center; and a spa. 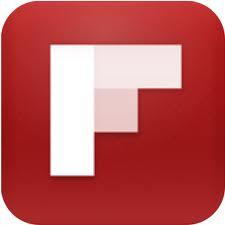 Advance purchase rates start at $375. In Atlanta, an early May opening is slated for the new Renaissance Atlanta Airport Gateway Hotel, accessible from ATL on the airport’s free SkyTrain. Part of the Gateway project (which already has a SpringHill Suites and a Marriott) near the Georgia International Convention Center, it’s on the west side of the airport, about three miles from the existing Renaissance Concourse Atlanta Airport Hotel on the north side. The 204-room Renaissance Gateway has a restaurant called Hickory & Hazel Southern Table & Bar and a fitness center. Rates start at $136. Just a mile from Dallas Love Field, at 2333 W. Mockingbird Lane, is a new dual-branded property from Marriott that includes a 133-room Aloft hotel and a 91-room Element property. The two share a common entry and meeting space, along with a fitness center and outdoor pool. They’re part of the new retail/residential development called West Love. The Element Dallas Love Field’s guest units come with full kitchens and spa-style bathrooms, free breakfasts, and bicycles to ride on local trails. 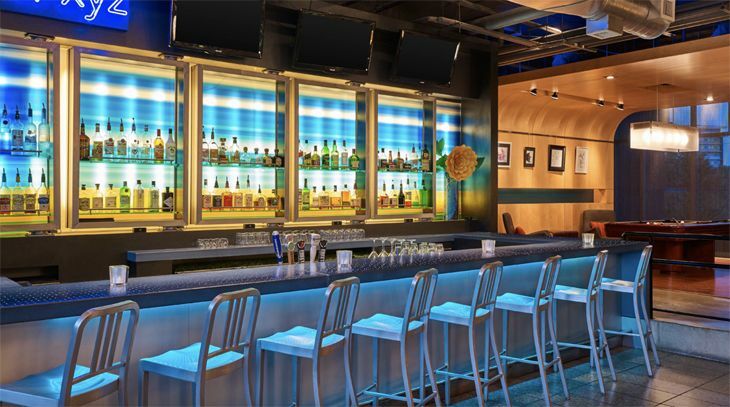 The Aloft Dallas Love Field offers a grab-and-go food market and drinks kiosk, and the property has musical entertainment at its W XYZ Bar. Rates start at $179 at the Aloft and $164 at the Element.